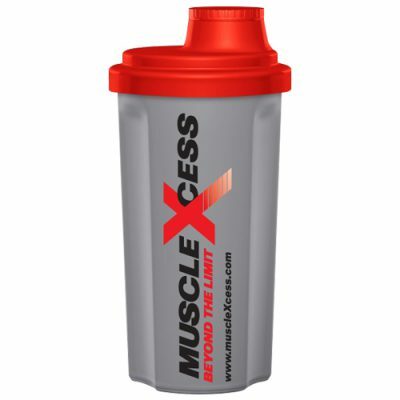 Muscle Xcess Gold Seal 100% Whey has been formulated by champions to build future champions. 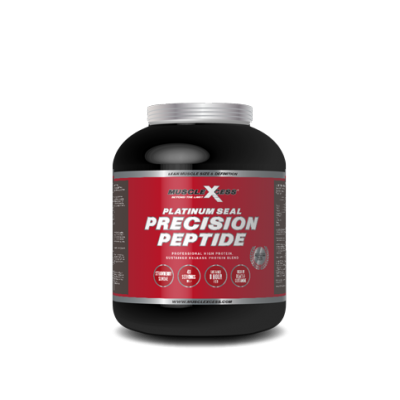 It is an advanced formulation using the finest quality Micro-Filtered Whey Protein Isolate and Whey Protein Concentrate. Fast Digesting Protein, High in BCAA’s and L-Glutamine. 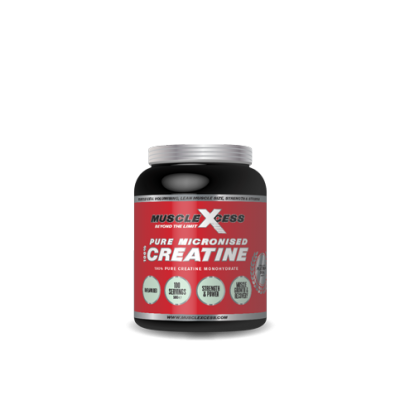 Whey Protein Isolate and Whey Protein Concentrate have been selected to create a high quality fast absorbing protein to ensure superior increases in muscle size and strength. Gold Seal 100% Whey supports post exercise recovery, immune system function, lean muscle tissue growth and protection. 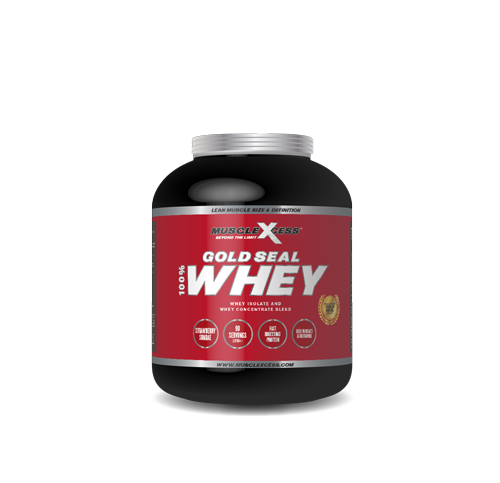 Gold Seal 100% Whey is to be used as part of a regular weight training and exercise regime with a controlled diet. Due to Gold Seal 100% Whey’s fast absorption, it is most effective when used before and after workouts. Gold Seal 100% Whey is also ideal for use as an extra protein boost for meals or in between meals as part of a low carb diet. Chocolate Chip Ingredients: Whey protein concentrate, whey protein isolate, peptide bonded glutamine, soy lecithin (emulsifier), flavouring (chocolate), natural colouring (fat reduced cocoa), thickener (guar gum, carboxymethyl cellulose), sweetener (sucralose). Strawberry Sundae Ingredients: Whey protein concentrate, whey protein isolate, peptide bonded glutamine, soy lecithin (emulsifier), flavouring (strawberry), natural colouring (beetroot red), thickener (guar gum, carboxymethyl cellulose), sweetener (sucralose). Ice Cream Cone Ingredients: Whey protein concentrate, whey protein isolate, peptide bonded glutamine, soy lecithin (emulsifier), flavouring (vanilla wafer), thickener (guar gum, carboxymethyl cellulose), sweetener (sucralose). Definitely the best protein I’ve used – full of flavour & so easy to drink!